MS4 (Municipal Separate Storm Sewer System) is any system by which water can travel ( i.e. 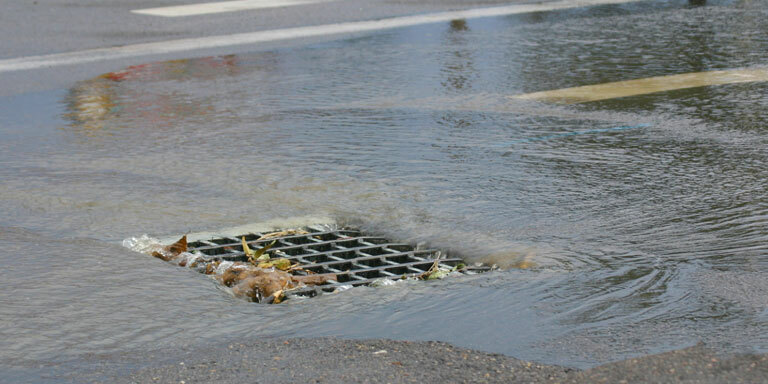 roads with drainage systems, municipal streets, catch basins, gutters, ditches, man-made channels, or storm drains) that are owned by a public body that discharges into the waters of the United States and are not part of a Publicly Owned Treatment Works. The MS4 permitting program gives owners or operators of municipal separate storm sewer systems approval to discharge stormwater to lakes, rivers, and wetlands in Brownsville and focuses on reducing the pollution that enters these public systems and discharges to wetlands, streams and lakes. As a Phase 2 MS4, the City of Brownsville’s goal is to reduce the amount of sediment and pollution that enters surface and ground water from storm sewer systems. Stormwater discharges associated with MS4s are subject to regulation under the National Pollutant Discharge Elimination System/State Disposal System (NPDES/SDS). Through the MS4 General Permit, the system owner or operator is required to develop a stormwater pollution prevention program (SWPPP) that incorporates best management practices (BMPs) applicable to their MS4. These documents can be found under the ordinances tab or picked up at City Hall.